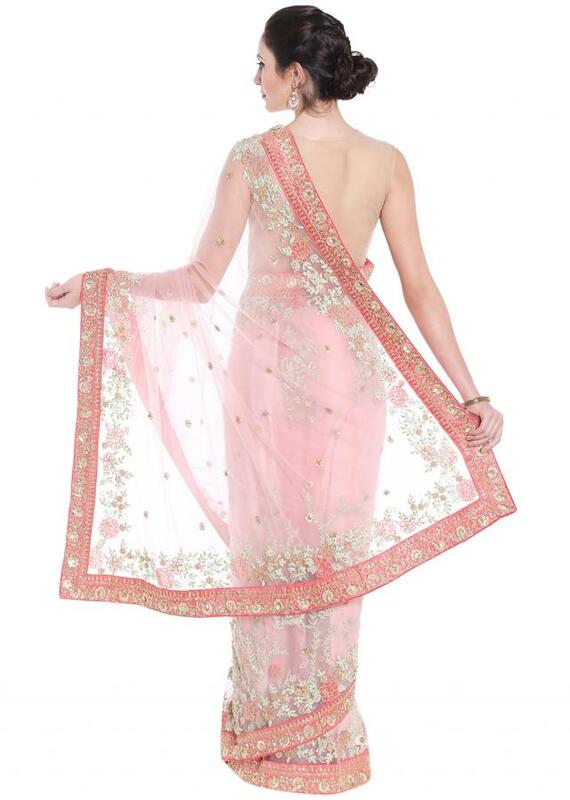 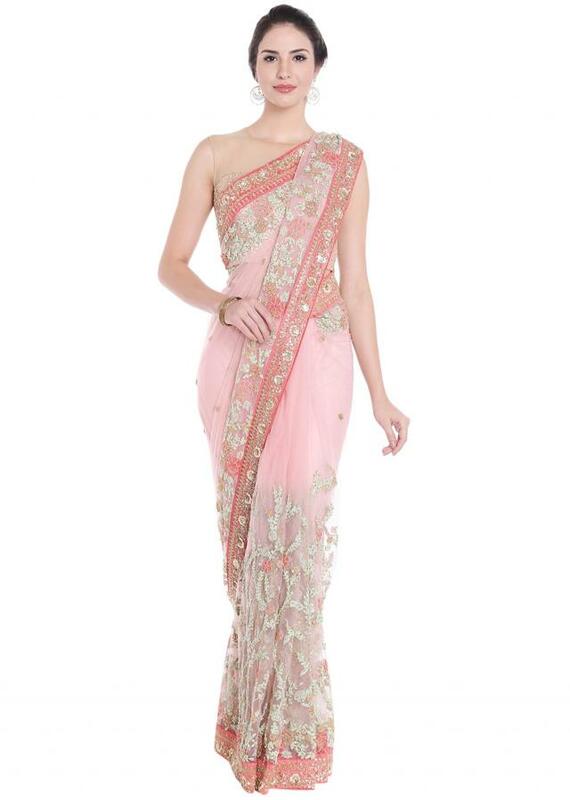 ‌Powder pink saree featuring in net. 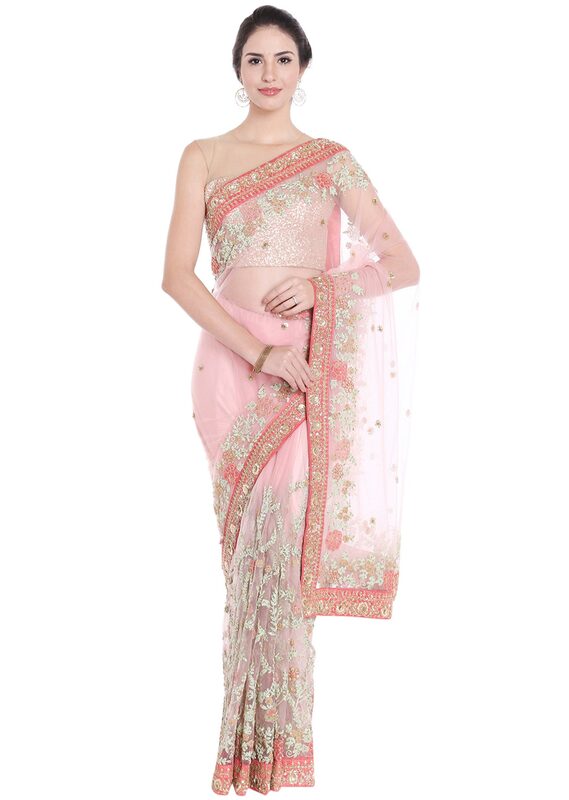 Its embellished in cod zari and resham embroidery all along the border. Matched with unstitched blouse in net.